Runtown’s Super Jam, ‘Mad Over You‘ becomes the most played song on Nigerian Radio in the 2nd week of the Year. It was closely followed by no 1 of the first week, Bank Alert by P-Square. 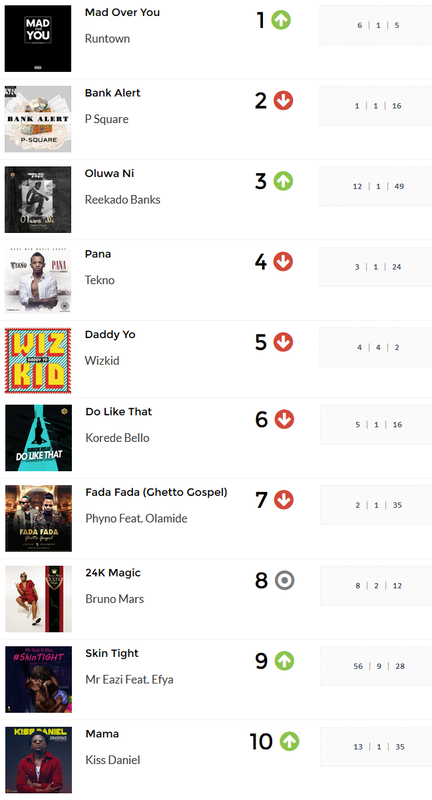 Reekado Banks’ Oluwa ni makes up the top 3 with Wizkid’s ‘Daddy Yo’ coming in at 5th posistion having debuted last week at 4th. Check the top 10 below.